Have you been thinking of going back to school? Are you searching for a way to make a positive difference on the community and environment around you? Now accepting applications, Woodland Park Zoo’s Advanced Inquiry Program (AIP) offers a groundbreaking graduate degree from Miami University focused on inquiry-driven learning as a powerful agent for social and ecological change. Designed for a broad range of professionals, from education and conservation to business and government, AIP could be the next step in your career that you’ve been looking for. Since the program began in 2011, Woodland Park Zoo’s students and graduates have been enacting amazing environmental stewardship and social change in their communities. We’ve collected some of their stories about how the program has positively impacted their personal and professional lives both locally and globally. Here, AIP graduate Sandra Becka shares how her AIP journey empowered her to be a voice for positive wildlife-human relationships. 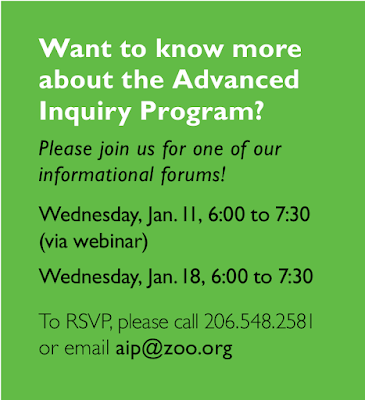 WPZ: Why did you apply to the Advanced Inquiry Program? Sandra Becka (SB): To best understand the why behind my motivation in applying to the Advanced Inquiry Program, I need to share a story—one that began close to a decade ago. I was working as a wildlife biologist in New Mexico when I realized that efforts to captive breed and release Mexican gray wolves was no solution as their fate was, at the end of each day, the same. As a mere biologist I had no power to change this. Also exhaustingly the same was the fighting, name-calling and threats coming from those that owned land around Mexican gray recovery and release areas. It didn’t help that the diatribe was too often repaid. There in the middle of nowhere, or at best, somewhere in the New Mexican desert I had an epiphany. I was going to go back to school and learn how to speak with the cowmen. I wanted to better understand the importance of ranching, the ranching culture and livelihood, and learn to educate the importance of the carnivore while working directly with communities. It took me longer to get here than I originally anticipated… but what an exciting time to be here! I returned to Washington state (from New Mexico) mid-2008, just as the first wolf pack had returned after more than 80 years following extirpation, and I am here now as the grizzly bear is establishing a comeback in the Northwest. Human-wildlife and human-environment conflict is in full swing; unfortunately this is what the media communicates on a consistent basis. However, there is so much more than opposition to this story. I believe that accounts of antagonism are misleading and distract us from the real issues and true stories—stories of shared hopes and visions for coexistence with wildlife. This is why I wanted to be part of the AIP, as the core principles—community involvement and voice, environmental stewardship, and leadership—were my way to connect with communities so to share these stories and the true voices of real people. WPZ: What impact has the program had on you personally and professionally? SB: The biggest impact of this program for me was carrying out my community engagement project. During my Engaging Communities in Conservation Solutions class, I sought to connect the consumer of farmed goods, such as meat, cheese, eggs, honey and wool, to the power of their consumptive choices, making us more aware of how our choices can benefit predators and entire ecosystems. There are only a small handful of farmers and ranchers out there that have made coexisting with carnivores an everyday choice as conventional farming practices, meaning those using lethal wildlife management praxis, are still the norm in North America. 44% of the landscape in the United States alone is farmland, farmland that wildlife utilize for migration, breeding or birthing ground, hunting and general habitat, making the choices of farmers critical to the future of wildlife. Wildlife and predator friendly farmers and ranchers need our support! 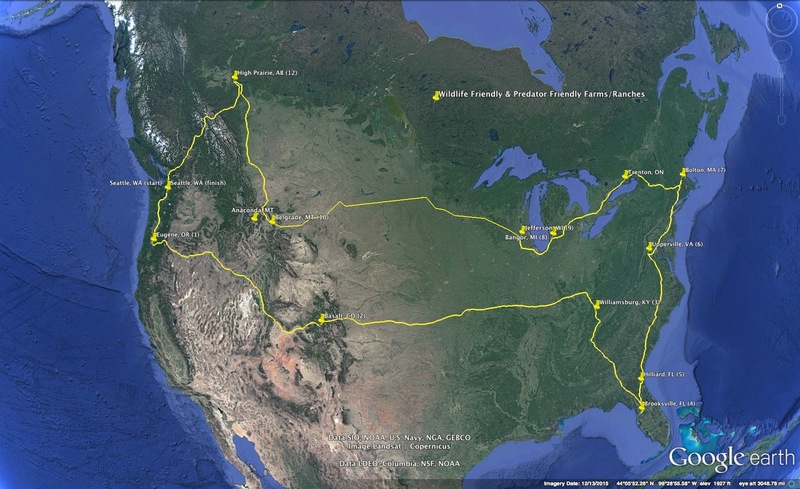 I traveled to 13 Certified Wildlife Friendly® and Predator Friendly® farms and ranches across the lower 48 and Canada. Participating farmers and ranchers were interviewed to capture their voices as well as explore, record and document a variety of non-lethal, adaptive management practices, including individual or unique innovations in wildlife coexistence. This was executed via video, sound, photography and written case study. The goal was to create a database of non-lethal management techniques/tools from collected and recorded stories, ideas, thoughts and photographs. 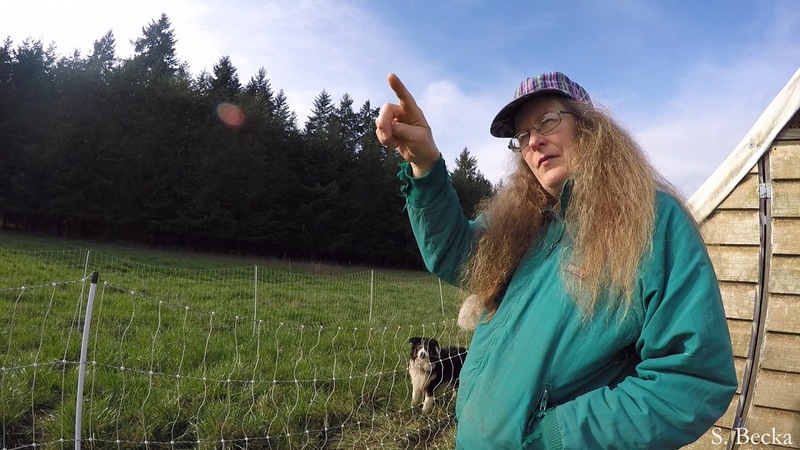 Sandra's first stop was a chicken, sheep and goat farm near Eugene, Oregon where she met Sharon. Sharon's border collie Bucky and llama Lou are livestock guardian animals. They are part of the non-lethal predator disincentives that Sharon uses to protect her livestock from local cougar and coyotes. I wanted to make this information publicly available, thus acknowledging consumers and their buying power, inspiring conventional farmers and ranchers to move towards adaptive management methods, and to create wildlife conservation solutions through these certified farms and ranches. 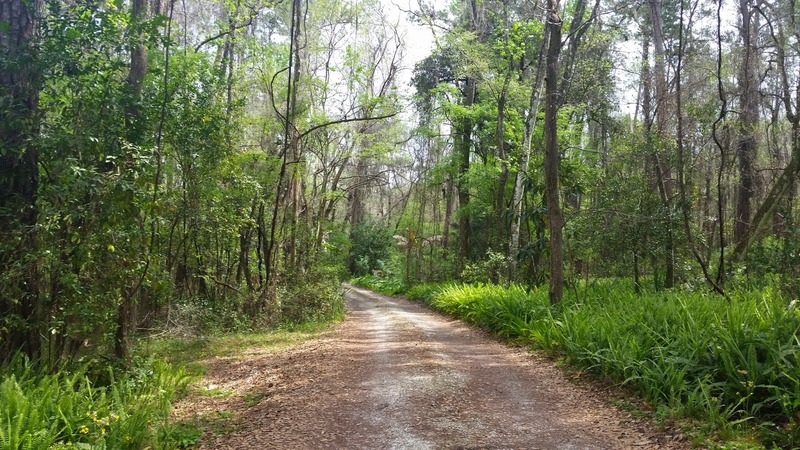 Heading towards one of two Certified Wildlife Friendly® farms in Florida. I traveled by car with a total travel time of four months. It was truly the most amazing learning experience of my life! I am happy to report that my Crossing the Continent for Coexistence story is being put together as a book. This will be inclusive of farmer and rancher interviews, storytelling from the cross-country journey, and photos from the changing landscape. The goal is to reach a larger audience, inspiring wiser consumptive choices, as well as to share the stories and voices of wildlife friendly farmers and ranchers who are successfully coexisting with large carnivores throughout North America. WPZ: What impact has this program had on your community? SB: As a result of this program, and the wonderful people I have met along the way, I decided to start a predator friendly farm myself, near to my local learning community in a rural-remote area of Washington. 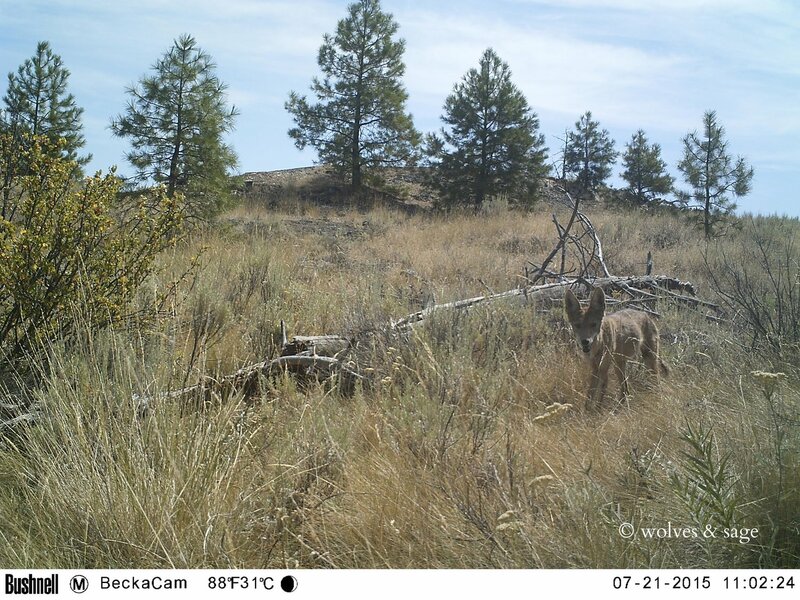 I’ve named my farm Wolves & Sage to celebrate the fact that when I started this Master’s program, Washington state had eight official wolf packs, and today we have at least 19. I regularly monitor wildlife on the property using cameras and basic wildlife tracking techniques to examine species overlap and general population counts. I was inspired to learn about camera trapping in my Biology in the Age of Technology class during the course of this program, and it has become a standard practice on the farm as a way to tell our story of wildlife coexistence. I attend local farmers markets in Seattle to share my farm goods and have expanded my community to include farmers, ranchers, and consumers of farm goods all across Washington. I have regular opportunities to discuss coexistence, to listen to the challenges of others and to propose solutions. I continue to do farm visits, as I did for my Crossing the Continent for Coexistence project, but within Washington. I maintain helping farmers, as well as documenting successful, non-lethal predator deterrents utilized in a variety of situations. I found myself inspired by fellow students who had applied for various grants, such as for school gardens, and non-profit funding ideas. 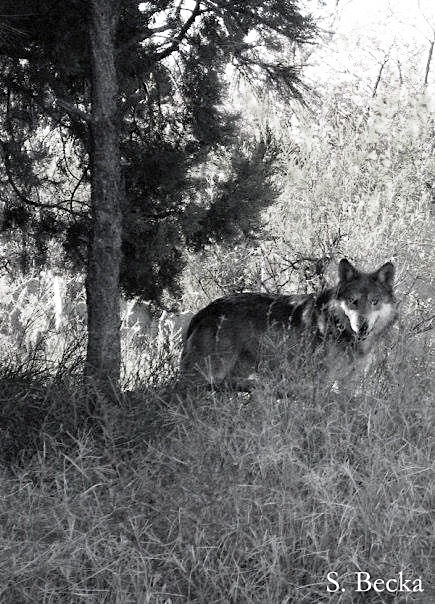 During the AIP program I applied for and was awarded a Washington State Department of Natural Resources financial grant to restore the Wolves & Sage farmland. The ecoregion is a semi-arid landscape and known for our wildfires and intense wildfire seasons. The grant will fund the thinning of portions of our overly lush pine forests and fuel reduction on the land to prevent future fire damage, and will also be used to create more healthy wildlife habitat. All of this allows for the growth of new food plants on the property to be utilized by both wildlife and human communities. Wild Western serviceberries (Amelanchier alnifolia) on the Wolves & Sage farm, with the Cascade Mountain range in the distance. 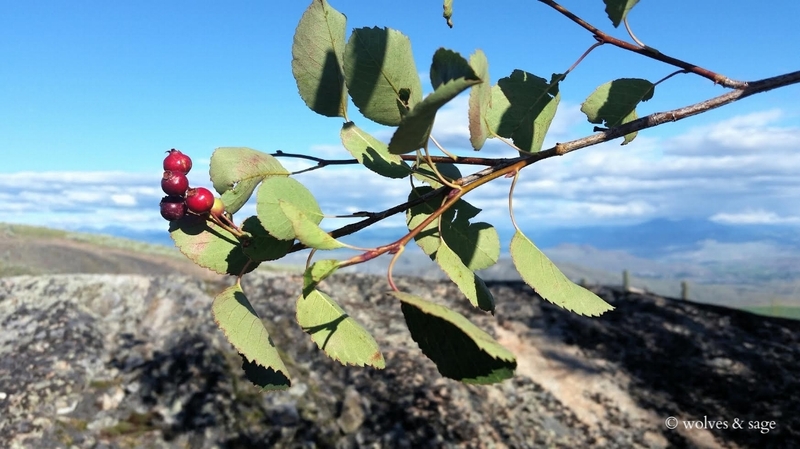 These berries are a favorite of local black bears and grizzly bears, as well as humans. Through this program I’ve managed to coalesce several factors and practices of great value to me—wildlife conservation, reconciliation ecology, herbalism, farming, simple living, and community building—all into a tightly knit platform that I call Wolves & Sage. I had no idea that my life would be so transformed in just three years! The greatest measures are my accomplishments throughout the Advanced Inquiry Program and how they will continue to live on with each farmer interaction that I have, and with each wild serviceberry that I decide not to harvest and rather leave for the bears who enjoy them so much, and of course with the predator photos that I capture with my wildlife camera and share with others—telling my story of the challenges and rewards that come with electing to coexist with large carnivores each and every day. My experience has given me a voice, one of confidence and authority, to help bring positive change to conservation. 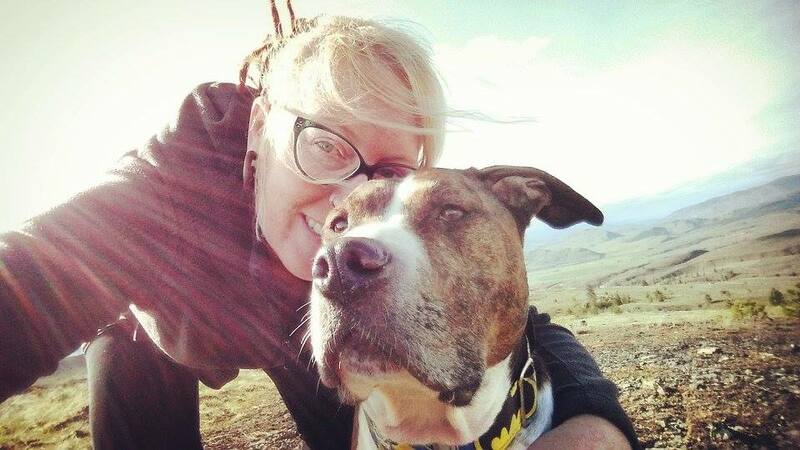 Sandra and her farmhand, aka her dog Shiloh. Thank you for sharing your journey Sandra, it is obvious you are truly attached to this mission and cause, with heart and vision. As I read through your expedition I was reminded once more that conservation is everyone’s business, we all must play our part. I applaud your efforts to make the world a better place and by those efforts, I’m certain it will be. Thank you ! What important work, on so many levels! This story provides both substance and hope to the future of coexistence between livestock and wildlife. And I for one am always inspired when I see zoos taking on a progressive and proactive role in the preservation of the natural world. Having grown up in the zoo world, I've witnessed the evolution of these facilities, and am happy to see evidence of their tremendous value.